The hunt is underway for a giant, man-eating crocodile in the southern Mexican state of Chiapas following a fatal attack last week that claimed the life of one teenager. “The National Commission for Nature Reserves (CONANP) reiterates its commitment to absolute respect for human life and deeply regrets the death of the local youth,” the local forestry service said in a statement. Authorities have said they are looking for all crocodiles that exceed three meters in length. Four young people entered an area designated for fishing in the Encrucijada biosphere reserve in Acapetahua, Chiapas southern Mexico on Sunday. While fishing, the group were suddenly attacked by a crocodile who trapped one of the youths in its jaws before fleeing the scene. The other three managed to escape and raised the alarm in a local community. There were two crocodile attacks in 2015 and one in 2016 in the same nature reserve, according to CONANP. 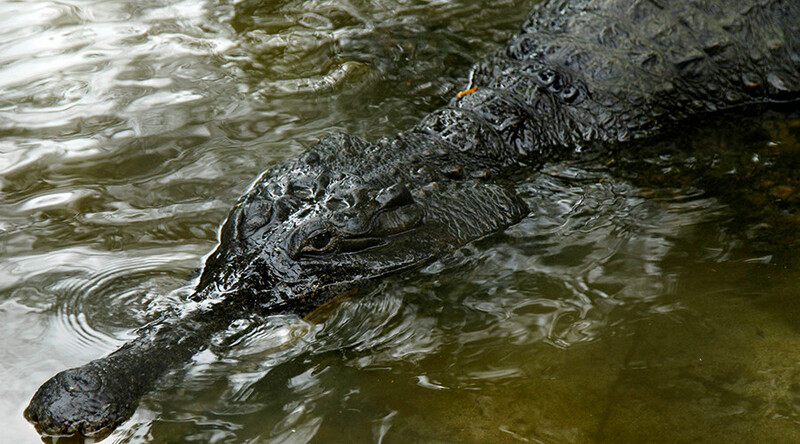 The crocodiles in each instance were captured and moved to more secure locations where they posed no threat to humans. CONANP had previously launched an awareness campaign advising people of the threat posed by large crocodiles who both nest and pass through the area. The animals will not be harmed but will have their stomachs examined for human remains. Once the offending crocodile has been identified and captured it will be moved to a more secure wildlife reserve.